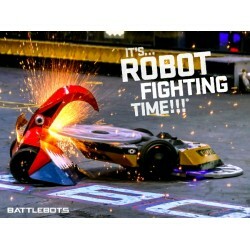 The official BattleBots 2018 season poster, printed on a high quality gloss paper.24” x 18”. Note: Posters are rolled and shipped separately from other productsin a poster tube. 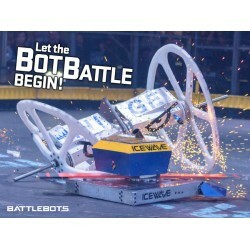 If multiple posters are ordered, they will ship toge.. Printed on a high quality gloss paper.24” x 18”. Note: Posters are rolled and shipped separately from other productsin a poster tube. If multiple posters are ordered, they will ship together. .. 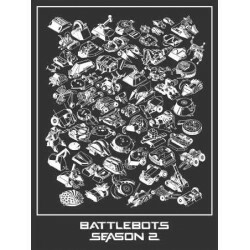 Specifications:Season 2 BattleBots Poster. Printed on a high quality gloss paper. 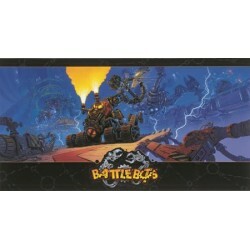 Dimensions: 24"x18" Note: Posters are rolled and shipped seperately from other products in a poster tube. If multiple posters are ordered, .. Posters are available for every team in the 2016 Season. Note: Posters are shipped flat separately from other products. 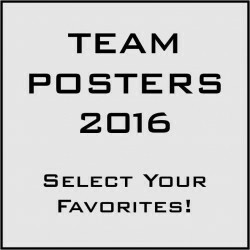 If multiple posters are ordered, they will ship together.Specifications:Team Posters - 2016 Season (Fo.. Posters are available for every team in the 2018 Season. 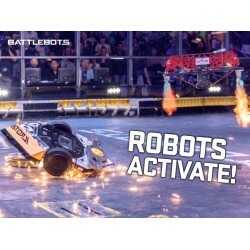 Note: Posters are shipped flat separately from other products. If multiple posters are ordered, they will ship together.Specifications:Team Posters - 2018 Season (Fo.. 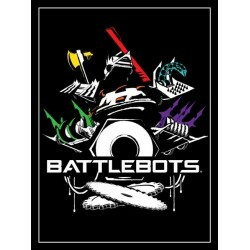 Specifications:Vintage BattleBots Poster Artwork by Marc Gabbana Printed on a high quality gloss paper. Dimensions: 24"x45" Note: Posters are rolled and shipped seperately from other products in a poster tube. If multipl..